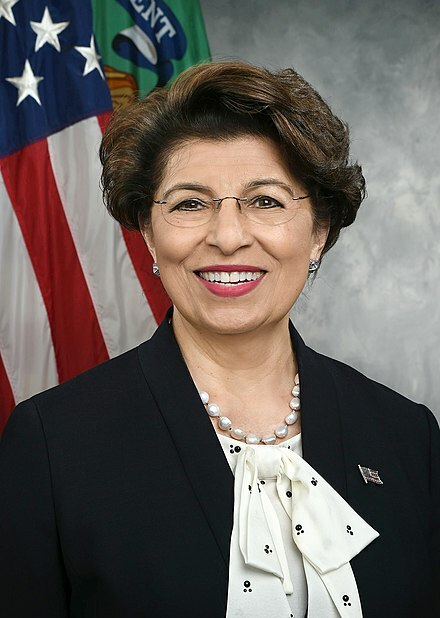 Washington, DC - The League of United Latin American Citizens (LULAC), said today it welcomes and endorses the nomination of Jovita Carranza, current U.S. Treasurer to lead the Small Business Administration (SBA), becoming the highest ranking Latina in President Trump’s Cabinet. “This nomination is particularly significant to LULAC because Latinas today represent the single fastest-growing segment of small business owners with start-ups in the nation,” said Sindy Benavides, CEO. “One of the core mission pillars throughout our 90-year history has been advocating for the economic advancement of our community. Undoubtedly, Ms. Carranza is already a highly-experienced and knowledgeable voice within the Administration about Latinx contributions to the United States and her confirmation to this new role comes at a critically important time when the future of our country is at stake,” she added. Data from a 2018 study by Stanford University shows that Latinx businesses still face significant barriers accessing capital for expansion and job creation. Further, the report confirms that disproportionately few grow beyond $1 million in annual revenue which is considered the threshold for a business that can be scaled up to mid-sized or even a major company. “What we’re looking at is an annual $1.47 trillion economic gap between what Latinx-owned businesses earn compared to what other companies achieve in revenue,” states Benavides. “However, this is a wonderful opportunity in the hands of an able leader like Ms. Carranza. She knows firsthand the many challenges in business today having herself risen through the ranks from working the night shift as a box handler at United Parcel Service (UPS) to becoming the company’s highest ranking Latina as president of its Latin America and Caribbean operations. In addition, she already brings invaluable high level expertise as the Deputy Administrator for the United States Small Business Administration from December 2006 to January 2009. This is why LULAC endorsed her appointment to U.S. Treasurer and looks forward to her being confirmed to lead the SBA,” adds Benavides. Carranza’s personal life mirrors that of many Latinx entrepreneurs who see small business as their path to prosperity. Carranza was born in Chicago as the youngest of three children to Mexican immigrants. Her father worked in a factory and her mother was a housewife. Carranza shares remembering vividly holding down two jobs while raising a child as a single parent and attending college. She says values learned at home were her greatest motivation starting with an education as the foundation for becoming self-reliant and successful.